Cooking With Swapna: Kara Boondi !!! 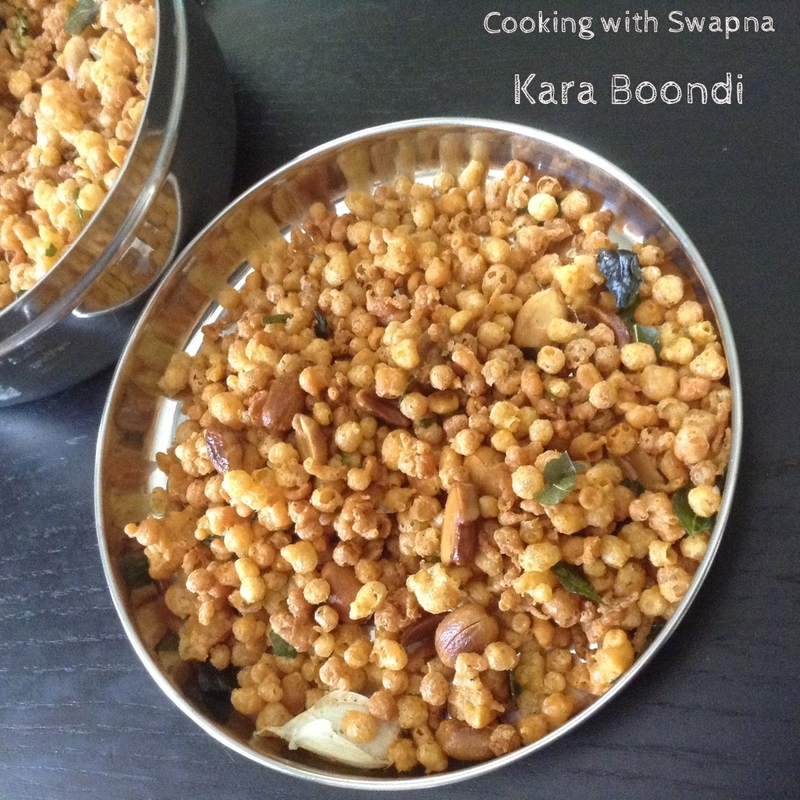 Kara boondi are great savoury treat and can be had as such or can be added to a variety of things like in raitas, chaats and as a part of other mixtures. This is made using chickpea and rice flour along with other seasonings is poured through a special perforated laddle into hot oil to make this boondis. 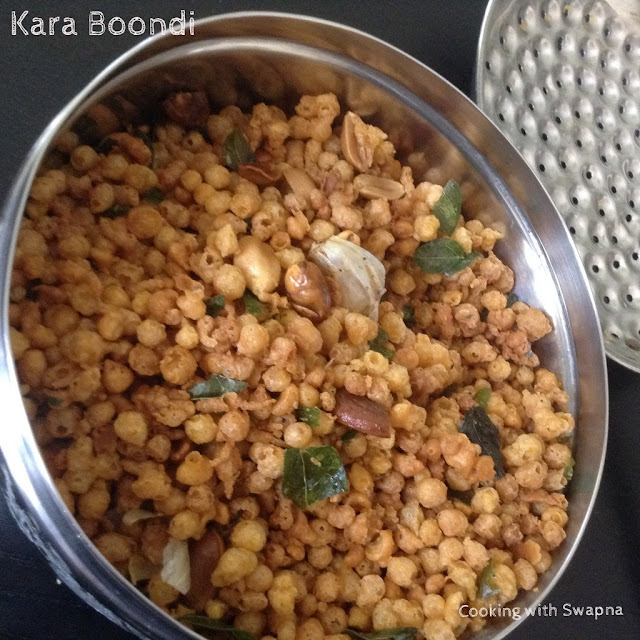 Taste simple crunchy and delicious. 1. Sieve and mix together gram flour and rice flour. Add salt to taste, baking soda, red chilly powder and hing. Gradually add water to make thick batter yet pour consistency ( like dosa / pancake batter). 2. Meanwhile heat oil in the deep frying pan. 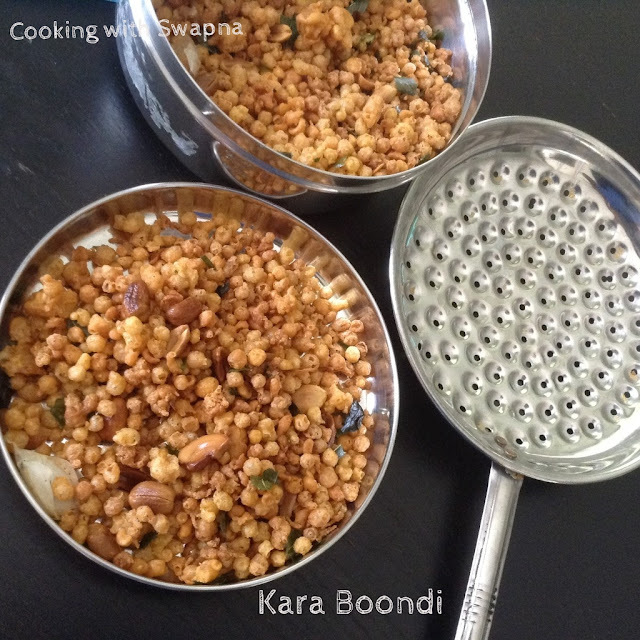 Place the boondi maker over the hot oil and pour a ladle of batter to the boondi maker. 3. 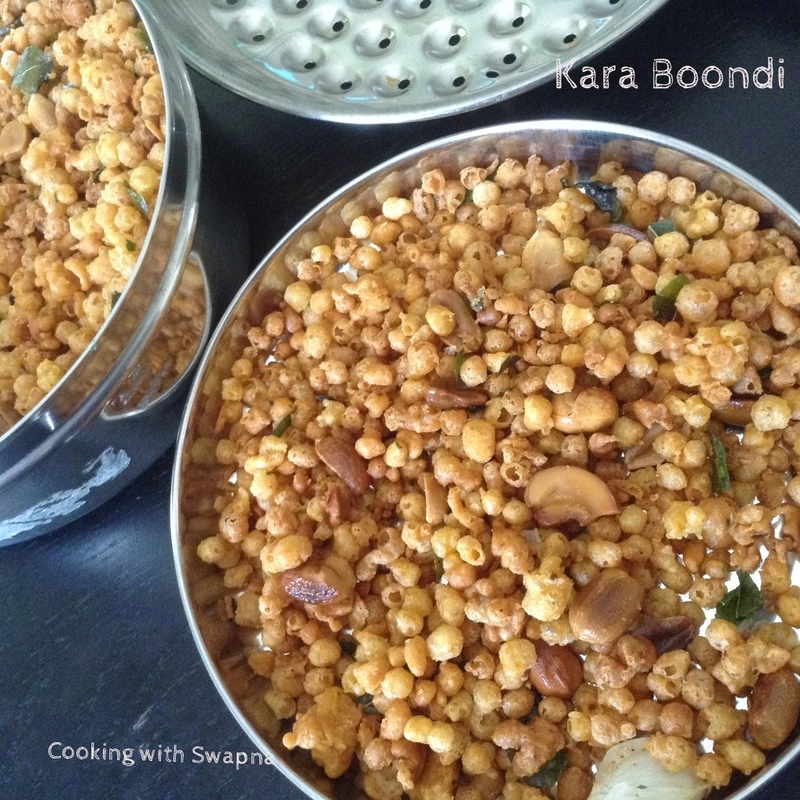 You can see the batter dripping into the oil and fry them till done or oil stop sizzling around the boondi. 4. Remove and strain the excess oil on a paper towel. 5. 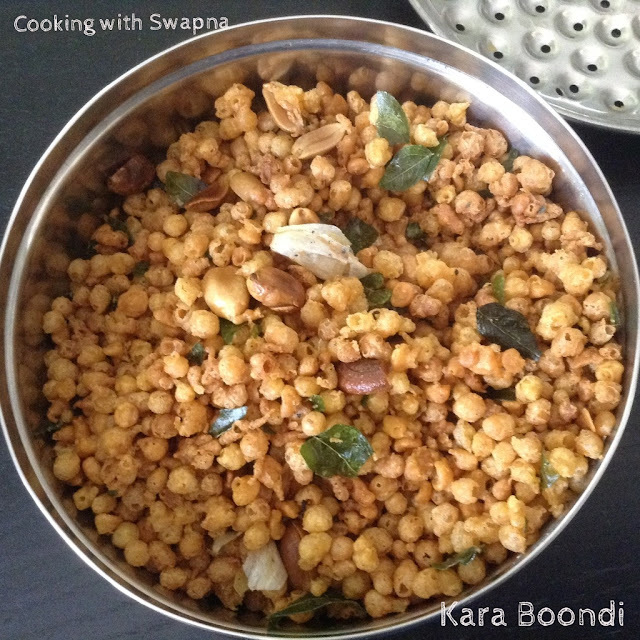 Roast the cashew nuts, peanuts, garlic and curry leaves and add them to the boondi. Mix well.